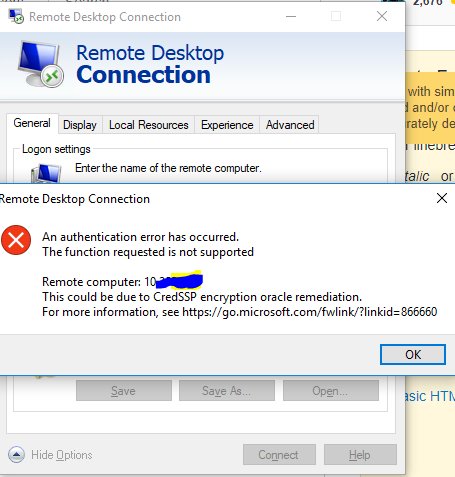 In the information given by https://go.microsoft.com/fwlink/?linkid=866660 there is an Interoperability matrix, which dependes the state of the client and server to allow or block the access. What is the state of the updates of Pulse Secure software regarding this issue? After client and server be update this issue does not occur, so PCS does not influence in this issue. The problem is realy bugging us right now: our host is windows, client is Mac OS, and we use Java RDP client.